Dortmund - Accustomed as they have recently become to success, Borussia Dortmund's third consecutive defeat could have plunged the club into deep bouts of soul-searching. But no, despite a 3-0 home reverse at the hands of title rivals FC Bayern München, BVB are dusting themselves down and focusing on the challenges ahead. 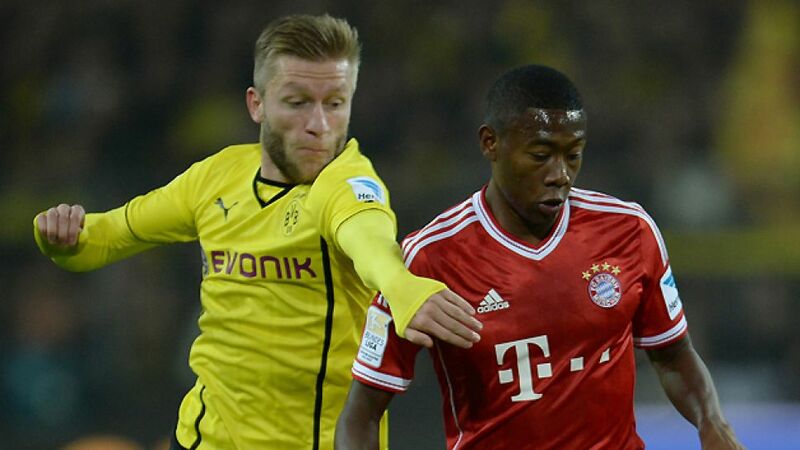 Question: Jakub Blaszczykowski, despite a close game, the scoreline suggests a straightforward win for Bayern. What would you attribute the defeat to? Jakub Blaszczykowski: We played well up until the first goal. We had good chances which unfortunately we weren’t able to make the most of. After the setback, we allowed Bayern far too much space. Against opponents of this quality, you obviously can’t allow that to happen. You’ve got to stop them playing, otherwise you'll get hit on the counter and concede more goals. Blaszczykowski: I actually think Bayern were forced to play more long balls against us than in any other game this season - which was as a result of our style. We forced them into the long ball tactic. In that respect, we didn’t do too badly. On the other hand though, Bayern have always got the quality to free themselves from being pressed, and when you’ve lost 3-0, there aren’t many positive arguments you can make. There are always things we could and should have done better. Question: For Dortmund, this is a somewhat unfamiliar situation to have lost three games in a row. Can you cope with that as a team? Blaszczykowski: We’ve got to keep looking forward and focus on the positive things we’ve achieved already this season. It’s not easy after three successive losses, that’s for sure, but we’ve got to recover our momentum quickly. First we’ve got to beat Napoli in the Champions League on Tuesday to give ourselves the best chance possible of reaching the last 16. Until then we just need to clear our heads. Question: Has your self-confidence suffered a blow after these defeats and particularly losing to rivals Bayern? Blaszczykowski: No, I don’t think so. We’ve won plenty of games already and we know our strengths. Obviously injuries have affected us, but you’ve got to see the situation as a chance for new players to impress, not to dwell. We’re all going to give 100 per cent collectively.